MEd from Eliot-Pearson Department of Child Development, Tufts University. MFA in writing from Vermont College of Fine Arts, with a Critical Thesis: Writing and Healing. Certificate of Advanced Graduate Studies from Lesley University: Expressive Therapies with concentration in Writing. 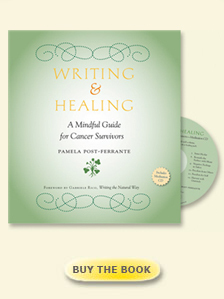 1999–present: Writing and Healing workshops for cancer survivors privately and at Mount Auburn Hospital, The Mind Body Clinic, Beth Israel, Deaconess; The Wellness Community, The Virginia Thurston Healing Gardens, and workshops for The Institute for Body, Mind and Spirituality at Lesley University, as a Fellow. In 1999, began work with Expressive Therapists to bring the arts as support to cancer survivors. Participated in seven pilot studies and one feasibility study at the Wellness Center (now called Facing Cancer Together) and The Healing Garden, Harvard, MA. A journal article emerged from this work. 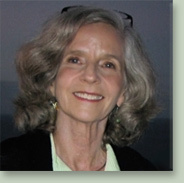 2003–2011: created and taught Principles and Practices of Writing as a Therapeutic Modality at Lesley University’s Graduate School of Expressive Therapies. 2008–2009: led workshops for Children’s Hospital nurses and Dana Farber employees at Children’s Hospital. Guest Blogger. Lahey Clinic Blog Site for Family of Cancer Survivors, 2010. “Walking through the Storm,” A Humankind Audio Presentation about what cancer survivors can teach us. Spoke on writing, 2007. “Focusing and Expressive arts Therapy as a Complementary Treatment for Women with Breast Cancer.” One of the authors in Journal Creativity and Mental Health. Summer 2005. Essays: “Cancer Says” in Living On the Margins: Women Writers on Breast Cancer (Raz, 1999), “Transformational Power of Stories: Hearing Another’s Truth Helps Me Understand Mine,” in Educators, Therapists, Artists on Reflective Practice (Byers, Forinash, 2004). Commentaries on NPR; Morning Stories on WGBH. Poetry in Poesis, an international arts journal, 2009.